Global oil markets are tightening as OPEC supply falls, the International Energy Agency said, while warning it could lower demand forecasts because of economic threats. Crude inventories are set to decline for the rest of the year as Saudi Arabia and its partners curb production, while exports from Venezuela and Iran are squeezed by economic and political crises, the agency said in its monthly report. But it cautioned that threats in the world economy, from Europe to emerging markets, could take a toll on fuel consumption. Crude prices have rallied more than 30 percent in London this year and are trading above $71 a barrel as Saudi Arabia spearheads output cutbacks by the Organization of Petroleum Exporting Countries and its allies. Yet the gains have been capped by fears about global economic growth, which the International Monetary Fund predicts will this year be the weakest since the financial crisis a decade ago. 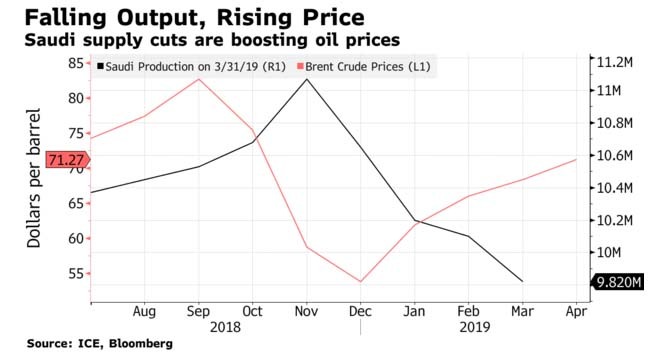 Global oil supplies declined last month amid another steep drop in OPEC output, as the Saudis cut more production than promised and Venezuela's unintended losses swelled. Supply growth outside OPEC also slowed sharply as Canada pared output and the North Sea suffered declines, the IEA said. As a result of OPEC's restraint, inventories in developed nations are below their five-year average in terms of the amount needed to cover projected demand, having fallen in February for the first time in four months. Nonetheless, the IEA warned that clouds are gathering over the outlook for demand. 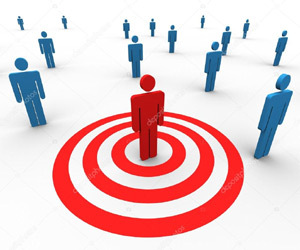 While the agency kept its estimates for 2019 global consumption growth unchanged, predicting an expansion of 1.4 million barrels a day, or 1.4 percent, it highlighted a number of dangers. Consumption in developed nations fell in the fourth quarter for the first time since 2014. In addition, concerns persist over the trade dispute between the U.S. and China, the demand recovery in the Middle East remains “modest,” and weakness in European countries could be exacerbated if the U.K.'s exit from the European Union is “disorderly,” the IEA said. Further headwinds could also come from the rally in prices, which at $70 a barrel “are less comfortable for consumers than they were at the start of the year,” it added. “Although the main sources of growth are doing well, there are mixed signals from elsewhere,” the IEA said. Story by Grant Smith from Bloomberg.